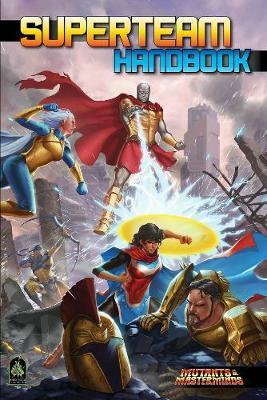 The Superteam Handbook puts the focus on the heroes and their team, with details for players and gamemasters alike to make their team cohesive, dramatic, and fun! Heroes can work closer together than ever before with new, team-focused powers, advantages, and attack options. Eight pre-made hero teams-ranging from PL 5 to PL 12-serve as campaign-kickstarters, with guidelines, resources, and advice for running a variety of heroic campaigns, along with background and statblocks for their members to use as player characters, rivals, or villains. Will you save the planet as part of the globe-hopping UNIQUE, battle to keep the streets safe as one of the street-brawling Ferroburg Four, or take on ancient aliens from the cockpit of your own giant robot as a member of MagnaForce? Whatever you choose, be stronger than the sum of your parts!